Find out the best hotels and apartments in central Athens without losing quality over price. With endless options available, selecting a hotel in Athens for your trip can be overwhelming. Where you stay is a huge part of your overall experience in a new city so make your decision wisely! In addition to location, price is very important when considering a hotel; especially in the vibrant city of Athens where hotels can be pricey because the city is quite dense with the major attractions all close by. For those looking for something more relaxed that won’t break the bank, you can find several hostels around the center and a few even near the foot of the Acropolis. The most desirable places to stay in Athens are the central neighborhoods of Plaka, Syntagma, Thission, Koukaki, Monastiraki, and Makrigianni, all of which surround the Acropolis. These areas have easy access to everything by metro and are within walking distance to nightlife. As you go away from the historical center of the city, the prices get cheaper but then you have to take into consideration the logistics and the time you spend travelling to where most of the main attractions are. To ease some of the stress with trying to find the perfect hotel for your stay in the center of Athens, here is a list of the top hotels and accommodation based on their star rating, price, and location. The prices listed under each hotel are obtained for a double room for the date of Sat August 25, 2018 from booking.com. Hotel Attalos: Offers the best value without sacrificing quality and experience together with a mesmerizing Acropolis view. A hotel that offers a great value with beautiful views of the Acropolis, Lycabettus hill, and a panorama of Athens. The Acropolis is a 15-minute walk, and the neighborhood of Psyrri which is famed for its bars and restaurants is close by. The hotel has been recommended by National Geographic Traveler and Frommer's as excellent value lodging and is praised by just about every guidebook as the best in its category including TripAdvisor and Expedia. Check out the room price for your preferred dates and book online here. Athens Center Square: A modern and budget-friendly hotel featuring a rooftop terrace with panoramic views. 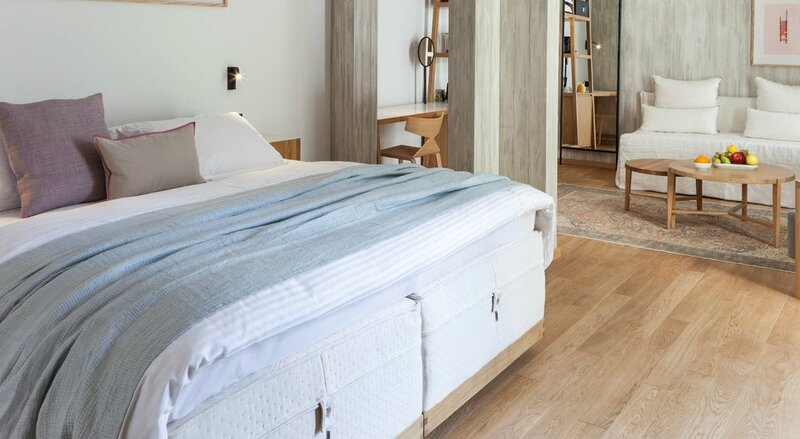 Set in the historic city center, this relaxed hotel with colorful interiors is a 12-minute walk from the Ancient Agora of Athens, 2 km from the iconic Acropolis of Athens and a 6-minute walk from the metro station at Monastiraki Square. There is a modern lobby bar, and a rooftop terrace offering panoramic views. Buffet breakfast is complimentary, which is always a bonus! 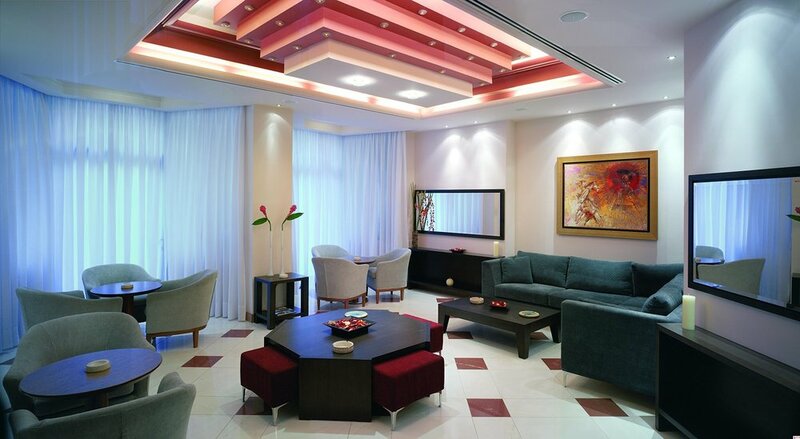 Centrotel Hotel Athens: Affordable with a relaxed atmosphere. This hotel has raving reviews and travelers love it for the budget friendly price and its close proximity to a subway station. Although it’s not located in the most central Athens, the price is unbeatable. You’ll find a relaxed atmosphere with friendly and professional staff. There is also plenty of shopping, restaurants, and cute cafes nearby! Capture the most amazing moments in the Greek capital under the guidance of a local expert in our "Athens Instagram Photo tour"! Periscope: Where modern minimalism meets extraordinary architectural design. Periscope is the ideal hotel to book for your travel, whether on business or simply leisure. Perfectly combining different characteristics, modern minimalism and an extraordinary architectural design, Periscope is no ordinary hotel. Right at the heart of Kolonaki, you get the modern side of Athens’ oldest neighborhood. If you call yourself young and enthusiastic, yet lover of tradition, then you are at the right place. Choose out of the 22 guest rooms that the Periscope has to offer. Don’t miss the opportunity to enjoy your nights and relax at this urban haven. 18 Micon Str. : Offers a memorable experience with a modern and contemporary design. Cement, wood, and brick. These are the 3 elements that 18 Micon Street Hotel brings to its guests, introducing them to the contemporary interior design trends and attracting the keen eye of the modernism aficionado. Located in Psyrri, near Monastiraki Metro station, it is a hub of creativity amongst the industrialized surroundings covering the area, offering a genuine and memorable experience. The people behind everything work tirelessly to keep the hotel up and running to the expectations of their visitors, focusing on creating the ultimate experience for all its guests. Coco-mat Hotel: The epitome of modern elegance in an amazing location. A modern and chic hotel in the sophisticated neighborhood of Kolonaki, there is much to love about this hotel. You’ll admire the elegantly designed rooms, some with balcony with stunning views of Athens and others with a comfy seating area. Sip on a coffee or cocktail on its rooftop terrace with a stunning view of the Acropolis. 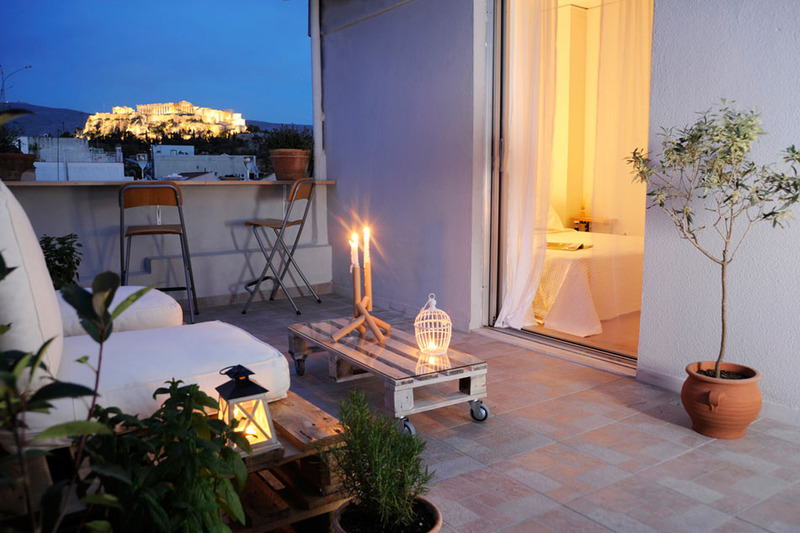 The Zillers: Wake up to a stunning view of the Acropolis in this gorgeous boutique hotel. The Zillers: Taste a delicious breakfast with local ingredients of the highest quality. In a stunning neoclassical building, this polished boutique hotel in the picturesque Plaka neighborhood is just 4 minutes' walk from Monastiraki metro station and less than a kilometer away from the Acropolis. You can’t go wrong with having Zillers as your starting point to getting acquainted with the beautiful city of Athens and all it has to offer. Taste the most authentic Greek flavors and discover Athens gastronomic gems in our "Get a Taste of Athens food tour"! Hotel Grande Bretagne: A historical landmark and gem that is the epitome of luxury. For those who appreciate the finer things in life and can afford it, this is the place for you. A historical gem in the center of Athens, Hotel Grande Bretagne overlooks the lively Syntagma Square where you can watch the changing of the Evzone guards and see stunning views of the nearby Parthenon. The hotel is not only the height of glamour but also offers a rich history as it was built in 1842 and has accommodated many Kings and dignitaries throughout the years. Thanks to the renovations for the 2004 Olympics, a rooftop swimming pool, an award winning health spa, and new bars, cafes and restaurants have been added. Electra Palace: Enjoy a luxurious experience with majestic views of Plaka and Acropolis. Another luxurious hotel located in the middle of the gorgeous neighborhood of Plaka. It’s a favorite especially among families visiting Athens as the location is quiet yet extremely close to major attractions and the center. Electra Palace is known for its beautiful pool where you can admire the Acropolis, and also its breakfast. In a country where breakfast is often an overlooked meal, this hotel offers an amazing hot breakfast buffet filled with different types of eggs, sausage, meats, roasted mushrooms, toast, breads, and of course orange juice and coffee. A tip to get the most out of your stay is to try to book a southern room as they have great balconies. New Hotel: Olympic palace turned into a stunningly modern building in the heart of Athens. Stay in the heart of Athens in this ultra contemporary hotel with a historical background. The New Hotel was previously the Olympic Palace Hotel, and while it is stunningly modern today, the building has retained it’s charm and original features such as the 1940s black marble staircase. The chic hotel was designed by award winning Brazilian designers, the Campana Brothers, and rooms feature bright and natural lighting with its floor being made out of bamboo to ceiling windows. After sightseeing and shopping at any one of the nearby spots, enjoy drinks on the 7th floor bar, with a panoramic city view. AthensWas: Modern decor just a few minutes away from the Acropolis. If classical modernism is more of your style, then we’ve got you covered. If you want a place to crash in, just few minutes away from Acropolis, then look no further. AthensWas is the hotel that opens its doors to all visitors who wish to take a taste of the authentic side of the city, enjoy some relaxing time at a tranquil and scenic neighborhood, blend in with the locals and have the ultimate experience. Explore Athens and see all its major attractions in one day! Live in Athens Short Stay Apartments: Fully equipped apartments decorated with style and with views to die for! Live in Athens Short Stay Apartments: A home away from home! If you’re looking for something that's like a home away from home, consider staying at Live in Athens. The apartments come fully equipped with a kitchen in case you want to cook homemade meals and save some money. The apartments also have a character and a charm that are distinct from the more industrial look of a hotel room. During your trip, the friendly owners are able to personalize your experience and provide you with tips, ideas, and things to do in Athens so you get the most out of your stay. City Circus Hostel: Travelers flock to this hostel under a collective spirit, building meaningful friendships and a memorable trip. City Circus opened its doors in 2013 during a hot summer, and soon became an oasis for the travel enthusiast amid the busy and restless city center. With a unique philosophy and a love for the alternative, it immediately turned out to be the hotspot of the big city. Under a collective spirit, travelers come together, share their stories, and develop meaningful friendships. Redesigned to create an accommodation of high standards and able to attract the most demanding visitor with the decor and the services it offers, City Circus Hostel is sure to make your holiday in Athens an enjoyable one. Athens Backpackers Hostel: Find the best price in the ideal location, make new friends and exchange thoughts with like-minded people. Named the top choice hostel in Acropolis Area by Lonely Planet, Athens Backpackers is the hostel of choice for many travelers who want to stay in an ideal location next to the Acropolis and other major attractions in Athens. Meet other like minded and friendly people and hang out on the popular rooftop bar that serves drinks at a reasonable price. This hostel is great if you’re traveling in a group or even alone thanks to the busy social scene. Which one of the above options would you choose based on your budget? How was the accommodation in your last visit to Athens? Let us know in the comments below!